Preheat oven to 325 deg F. Prep a 12 cup bundt pan by greasing with light flour. In a bowl, make cake batter by combining yellow cake mix, instant pudding, eggs, water, vegetable oil, and rum. Mix well until cake batter is smooth. Then pour batter into pan. Bake in oven for 1 hour. Let it cool. Remove cake and place it on a serving plate. 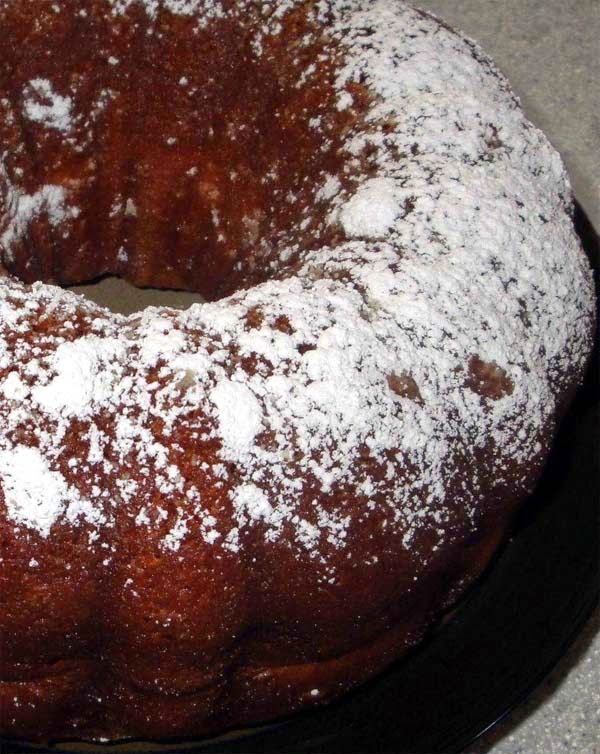 While cake is cooling, make the glaze by melting butter in a saucepan. Add in water and sugar. Boil mixture for 5 minutes while stirring constantly. Then remove from heat and stir in rum. Spoon and brush glaze over the cake along with powdered sugar for garnishment. Serve and enjoy. Prefer tequila on cakes? See this recipe.